Chrysler is scheduled to hold its first large-scale meeting with dealers today in Orlando, Fla. The meeting, the first since 2007, comes as Chrysler is introducing 16 new or refreshed vehicles before the end of the year. (Bloomberg) -- Chrysler Group LLC said U.S. dealers who want to sell the Fiat 500 subcompact car should have their new showrooms completed and running by the end of February. Dealers will need time to train staff for selling the Fiat 500 and should have a separate showroom in place prior to the start of marketing in March, Chrysler spokesman Ralph Kisiel said. “We'd like it up as soon as possible so they can get their Fiat franchise and start selling the vehicle,” he said. Dealers must submit their Fiat franchise proposals to Chrysler by Sept. 22, and about 165 winners will be selected in October, the company has said. Some dealers may be allowed to open later, Kisiel said. “The key here is you don't open something if they're not ready,” Kisiel said. Sergio Marchionne, chief executive officer of both Chrysler and Fiat, has said the Fiat 500 will go on sale late this year in the U.S. market. Fiat SpA, which owns 20 percent of Chrysler, took control of the U.S. automaker as part of its bankruptcy restructuring in 2009. The company said it will pick new Fiat franchises based on several criteria, including plans to create a standalone facility. Dealers have been told to build a business case for a Fiat franchise based on gross margins of as much as $1,500 for each Fiat 500 sold, people familiar with the planning have said. Some Chrysler dealers will have open space for a Fiat franchise after the closing of General Motors Co.'s Saturn and other brands, said Alan Helfman, vice president of River Oaks Chrysler Jeep Dodge in Houston. Helfman said he's planning to submit a franchise application. Marchionne is scheduled to attend his first large-scale meeting with Chrysler dealers today in Orlando, Fla. The meeting, the first since 2007, comes as Chrysler is introducing 16 new or refreshed vehicles before the end of the year. The heads of the automaker's vehicle brands -- Chrysler, Dodge, Jeep, Ram and Fiat -- are also expected to attend the meeting, Kisiel said. For most dealers, it will be their first chance to see the 2011 model year lineup, much of which will reach showrooms later this year, he said. Chrysler's U.S. sales rose 10.2 percent for the year through August compared with last year, outpacing the industry's 8.4 percent increase, according to researcher Autodata Corp. 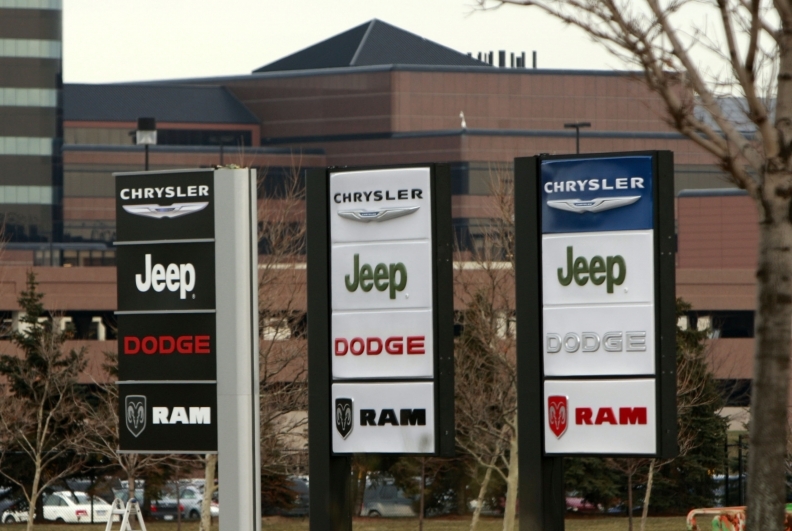 Compared to other automakers, Chrysler will have fewer consumers replacing their Chryslers with the company's new models in the next four years, making it hard for the automaker to compete, John Murphy, a Bank of America Corp. analyst, said in the annual Car Wars report in May. “The underperformance leads us to believe that Chrysler will be the largest loser of market share over the next four years,” he wrote.